Timing, they say, is everything. Your audience are faced by a deluge of content every time they browse their social channels. Which is why it is getting harder and harder to cut through to them. Like random banner ads before them, so much content is subconsciously filtered out before they even notice it. The only way to get around it is by creating work that your audience are predisposed to engage with at the moment they see it. This is why the context in which it is viewed is essential in landing your content with them. This filtering of information is essential to allow us to focus on what is important and to stop us from going crazy from monitoring the huge number of stimuli that our bodies sense at any given moment. From thousands our brains limit us to being aware of only around 40. 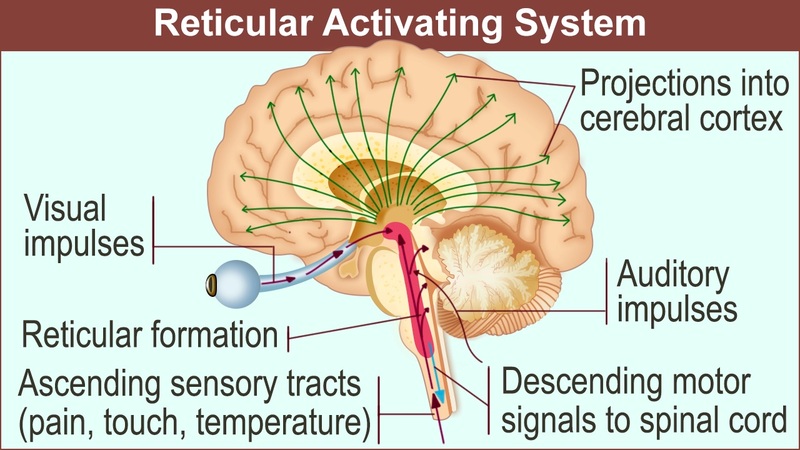 To do this, our RAS or Reticular Activating System (the brain’s CPU) instantaneously filters out anything which our subconscious judges to be extraneous information. This part of the brain learns very quickly what to look out for – it is why when you are looking at buying a red Volkswagen you suddenly see red Volkswagens everywhere. It, of course, also works for the things that we have learned to ignore. This is why we can see a hundred different ads while scrolling or browsing and never really notice them, but then one pops up with just the right thing at just the right time and boom, we click-through and buy. This is the essence of context. This is the importance of timing, which is why programmatic retargeting has been so successful (the process that continues to advertise products to you after you have visited a certain webpage). It’s why Google has grown to be, well, Google. Get the timing right and an ad which cost you pennies to place can become the most valuable piece of advertising you do that day. Last weekend you may have noticed that Tiger Woods staged one of the most impressive career come backs in the history of golf, if not sport. He was once the global megastar of the sport, winning 14 major titles and being accused of ruining the game by making the rest of the world's best compete for second place. His implacable, uncompromisingly focused facade hid some challenging truths which came home to roost in dramatic fashion. He fell from grace, he lost his game and dropped out of the World's Top 1000. Most people wrote him off. Last weekend, he came back back and won his 5th US Masters - one, if not the, of the hardest fought tournaments in the sport - at the age of 43, the second oldest winner ever. It was a stunning moment in a story that has captivated the world of sport for nearly over 20 years. Behind the scenes on Sunday, there was another level of genius/fortunate planning at work. 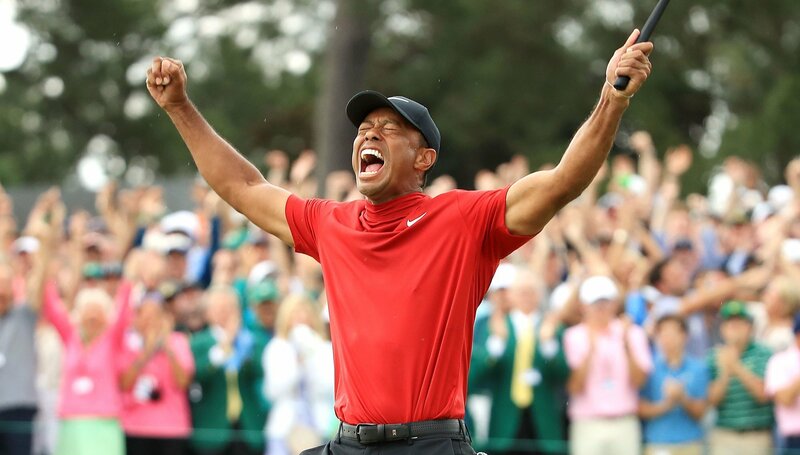 In the moments after Woods donned the cherished green jacket of the Masters winner Nike shared an ad on their social channels which nailed the feeling of the moment. A relatively inexpensive edit which allowed them to capitalise on the estimated $22.5M worth of publicity that the brand received while Woods completed his final round. Sunday was the most watched round of golf in history. As far as content goes the edit was pretty basic – a few recuts of old footage of Tiger playing with some inspirational interview audio from his early life. For a brand like Nike the production of a piece of content like this is almost as basic it gets – it was after all a punt on their man actually winning– but it paid off in spades. Like the Oreo – “you can still dunk in the dark” tweet – it smashed any goal the brand might have set because it was timed to utter perfection. It was amusing and impressive that they were ready with someone who knew what they were doing to be able to create and share it. But it was the timing that really nailed it. That was why it was retweeted 10,000 times in the first hour and was regarded by many as the prestigious 'ad of the night', beating out competition from spots which cost literally one million times more. Have consumers demonstrated (or exhibited proxy behaviour) that indicates interest in a specific or related product area? Have they actively sought out or mentioned a particular product or service? What event might trigger a desire to buy or interact? Possibly changes in weather, transport strikes or sports events? Has the consumer entered a specific location which might make them more susceptible to your message - there is always a surge in job searching and relationship breakups around and immediately after Christmas. Thousands of golfers will have been thinking: "I wonder what putters there are on the market at the minute?" Bang. That was the moment the video hit. That is the essence of context. The reason this timing is so essential is that it allows the marketer to take advantage of the specific triggers that will lead your audience to engage in any given moment. How many people reached for an Oreo while watching the Super Bowl after seeing that tweet and in all the press it got afterward? More to the point, the Nike video was perfectly timed because it was shared at the moment that the audience are at their most inspired. Thousands of golfers will have been thinking about dusting off the clubs and maybe replacing their putter before playing a round. "I wonder what putters there are on the market at the minute?" Bang. That was the moment the video hit. Building on the positivity and oozy feelgood-ness of the moment and tying the brand into his glory. Making sure it was front of mind for anyone thinking of getting back out there and 'spoiling a good walk' - as Oscar Wilde would have said. 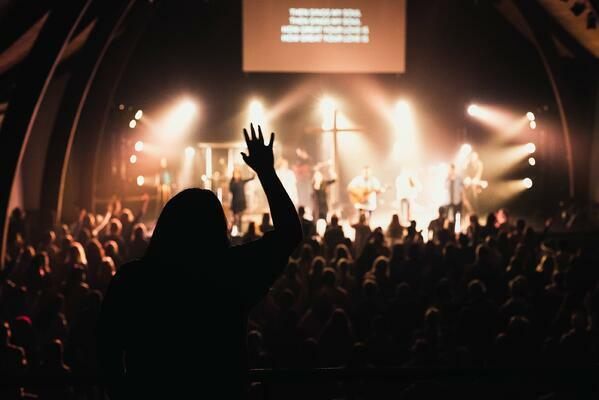 How can you find out about the BEMs of your audience? The best way to work out the BEMs that work most effectively for your target audience is through testing and measuring. Make some sensible assumptions and then try them out. How can you use the information that you know about your audience to create content that will hit them while they're doing just the right thing, at just the right time, in just the right mood to engage? Test, measure, reiterate and improve. 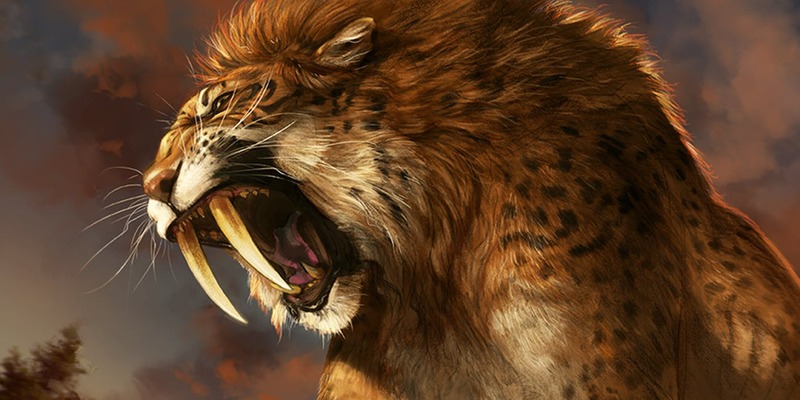 Would you rather fight one chicken the size of a horse, or 100 horses the size of chickens? It’s a poser. 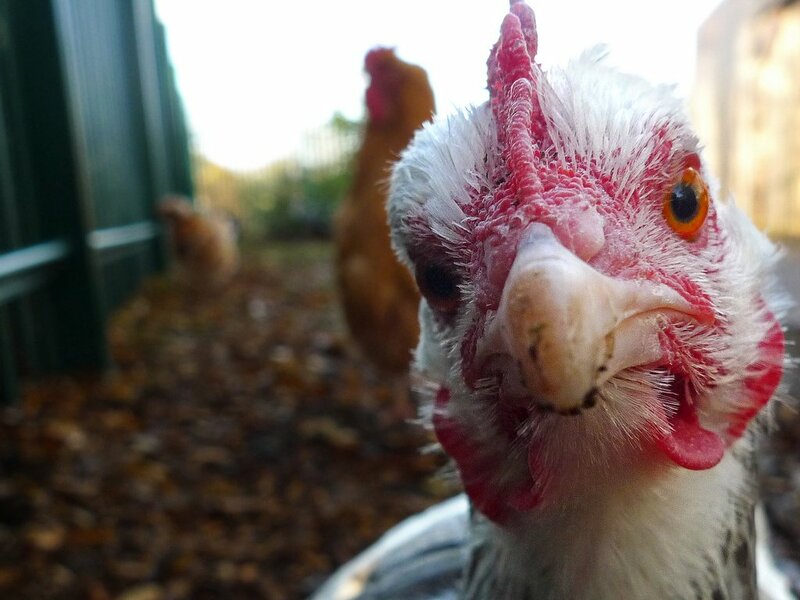 Brand-film wise, the horse-sized chicken used to rule the roost: a single monolithic piece of content that promoted your brand with a knockout punch. It was shared everywhere – the AGM, at pitch meetings and conferences. Everyone would watch it and marvel as they were told how amazing the company was. Now, things have changed. Online content is all about multitudes of chicken sized horses. You need volume because your audience are so fragmented, over stimulated and time poor the only way to be sure your message gets through is via a carefully directed stream of multiple pieces of content. Much of your content may not be seen but you’re playing the numbers game. As long as your brand and the narrative is consistent your message stands a far greater chance of getting through. 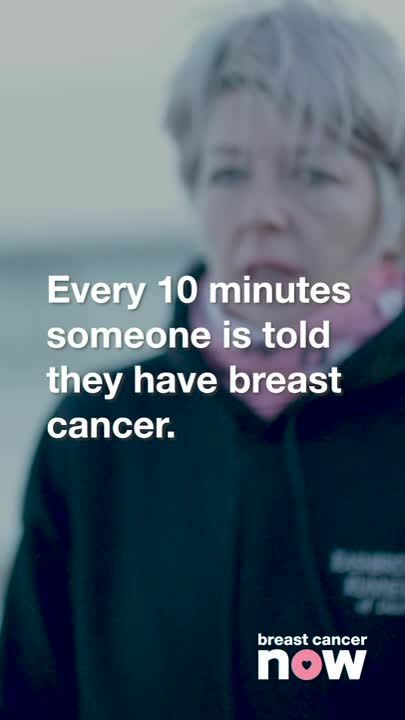 Take our good friends over at Breast Cancer Now, they knew that in order to grab and maintain their audience’s attention you had to hit them, not once but again and again and again. Muhammed Ali didn’t win his fights with a single punch he danced around the ring and landed perfectly timed shots. Your video content strategy needs to do exactly the same thing. Atomised content isn’t about spending more to get more, it’s about getting more from what you already have. 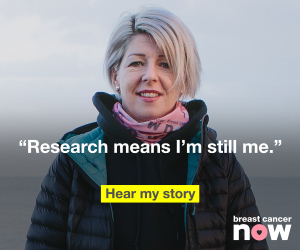 Breast Cancer Now utilised their budget to ensure they had enough content to keep their audience engaged across multiple platforms for a longer period of time. 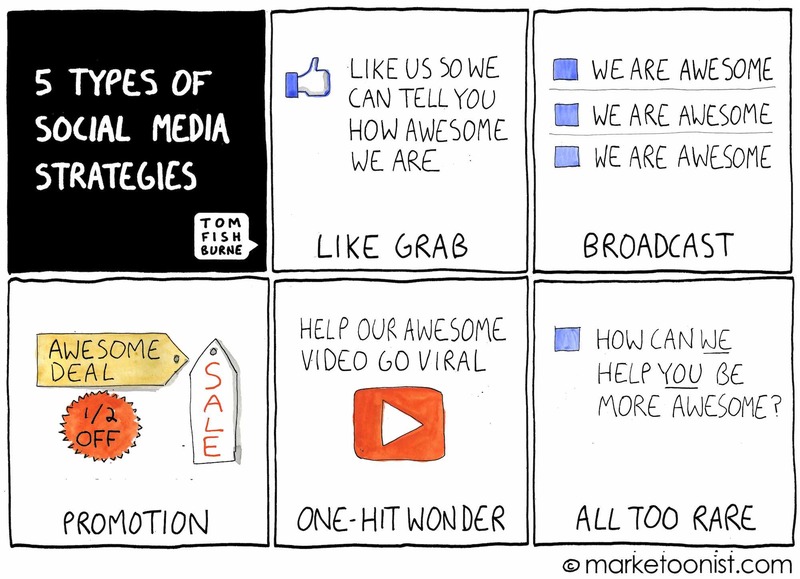 Let the horse sized chicken slowly fall whilst you produce Instagram stories, Facebook posts, Twitter videos, subtitled content, banner ads, email marketing campaigns the list goes on and on. Loads of tiny horses streaming out towards their audience. On average we shoot between 15 and 40 minutes worth of content per interview. This content is then condensed to a 30, 60 or 90second film. That leaves loads of unused material which can now be used to create supporting content. Take those clips which were just a bit too long winded to include originally and see if it could work as a stand-alone film, pull stills from video content and create new social media posts, turn the audio into a podcast. Once you stop viewing your video budget as a single deliverable you start to get much more bang for your buck! Producing content in this way gives you flexibility. You don’t have to blow all your budget on that one piece of content which needs to tick all the boxes, instead you can focus on the specific needs of your target audience. Make a film that speaks to each group individually, get personal and your brand and message will start to grow strong roots. So, next time you raking your brain trying to think of the next best all singing all dancing chicken sized horse surprise your audience with a hundred horse sized chickens, they won’t see that coming. Or maybe they will - and that's kind of the point. 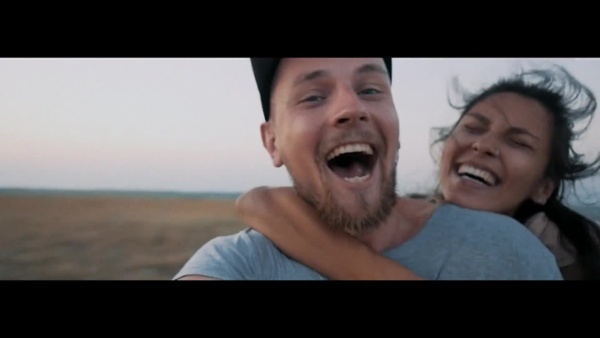 Content gives you wings: what can Red Bull Media teach us? Energy-drinks manufacturer Red Bull have built a brand presence for their content so significant that it almost transcends the association with their original product. With its Red Bull Media House, it creates thousands of pieces of content, has correspondents in 160 countries, distributes one of the most popular magazines in the world and has its own TV channel. They have generated brand equity which can be valued in the billions. We're not suggesting that you need to go that far to see a return from content. It’s more that this is a useful guide as to just how much like a traditional broadcaster a brand can end up being. We finally get an in context snowboard shot into the Blog! Whoop! 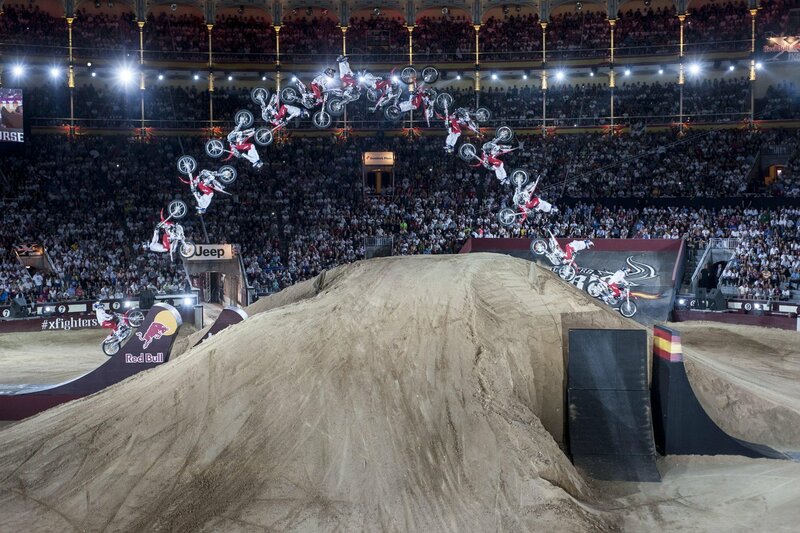 Like a motocross rider about to pull a backflip on Red Bull’s channel, if you’re going to do it, you need to commit. Their failure to do this might mean they land on their head; you may just end up wasting your time and money. 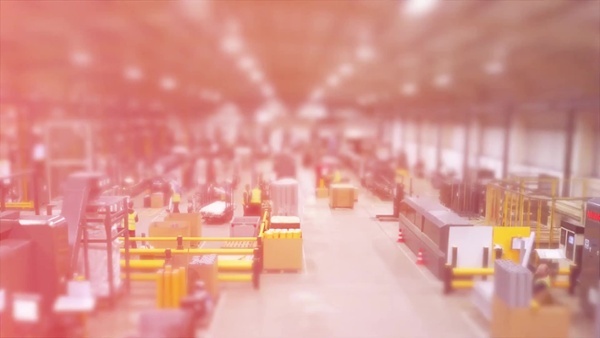 For many companies, though, this will require a real step away from what they are used to. Red Bull really went for it and has built an entirely new multi-billion-dollar category as a result. This culminated in Red Bull Media House’s crowning achievement, which is arguably Felix Baumgartner’s jump from the edge of space, which was watched by a live global audience of nearly 8 million. 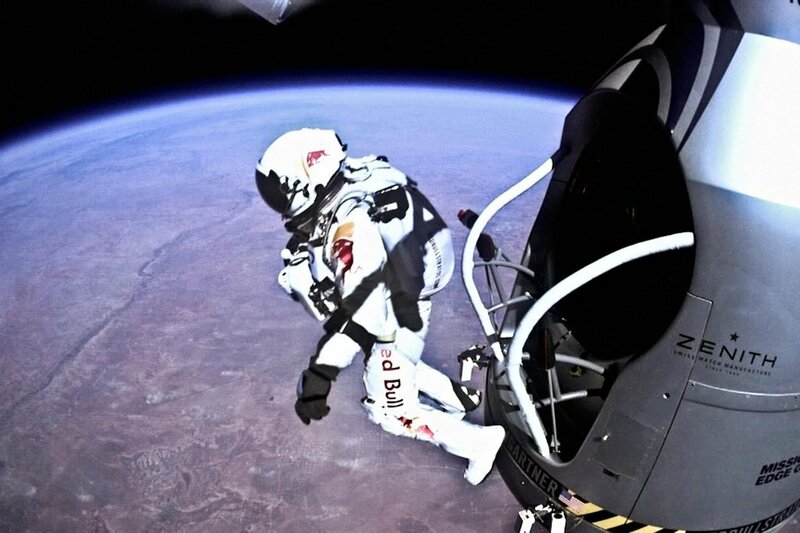 The photo of him having landed safely on the Red Bull Facebook page was liked by 466,000 people. That is a lot of engagement! All of the additional material that the jump generated enabled members of the audience to take, repurpose and own elements of the story. Red Bull first launched its content wing in 2007 – it has taken it 10 years to achieve the dominance in the space that it has now. 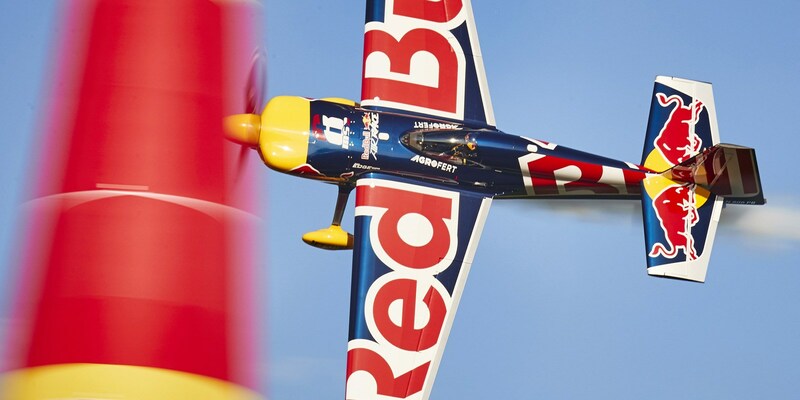 Over that time, it has taken a sustained approach to building its audience and the loyalty of its many followers; this has led to a significant and measurable increase in the value of the Red Bull brand. The problem with trying to account for this using a traditional marketing framework is that it’s almost impossible to calculate the increase in brand value on a piece-by-piece basis. While any brand can benefit from having a more joined-up content strategy, being a brand broadcaster is a long-term investment in your company’s future value. One of the main challenges for businesses wanting to capitalise on the opportunity that is on offer to them is misunderstanding or fear among the executive team. There is no reason why any company that chooses to can’t achieve excellent returns, but it has to be driven from the senior team. Red Bull has two shareholders – the original entrepreneurs who set the business up. That means it has the freedom to make the decisions that are in the long-term interest of the brand. It can choose to take the calculated risks that are necessary to make this stuff really work, without having to answer to the drive for short-term returns. So many companies want to be Apple – they love the Apple brand, the precision of its operations and the adoration of its users (and its profit margin!) 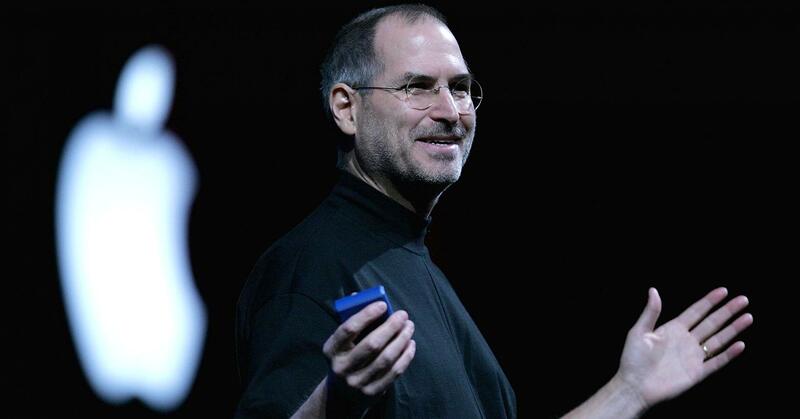 – but no one is prepared to be Steve Jobs: risk taking, brave and uncompromising in his pursuit for perfection. To expect one without the other is unrealistic and naïve. Whatever you are trying to achieve it is essential that you start your project off on the right foot. You can access our guide to writing an effective brief (which includes a briefing document for you to use as you choose) right here. Your business is now a media company. What does that mean for you? No matter what your business does, advances in technology mean you now have the ability to create and share more content than ever before. This puts you in charge of your own content channel. Your audience expect you to use it. This post will show you how. Advances in technology have put the power of production studios in the palms of our hands. At the same time, global distribution is easier than ever. This has major implications for all of us, particularly those in business communications. 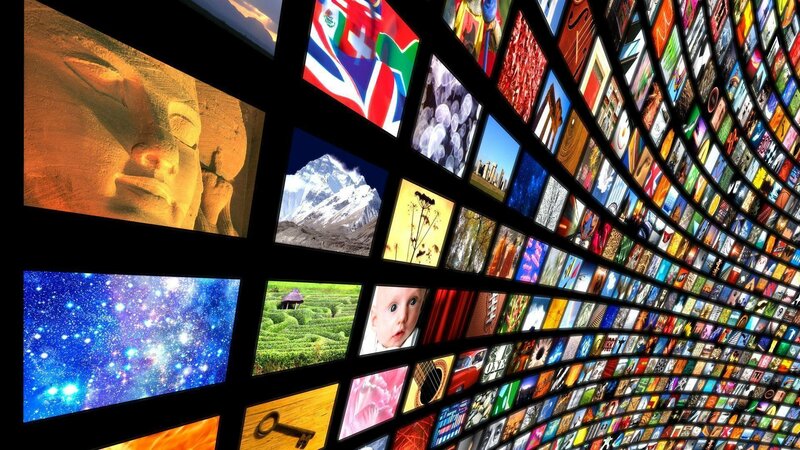 Many brands have taken advantage of these evolutions to take on the role of broadcasters in their own right – the leaders in the space have generated brand value which challenges that of the actual product. The most important shift towards operating like a media company is to value your content like any of the other product that your organisation produces. Traditional broadcasters, of course, have to think like that as it’s their only output. Whatever your company produces, if you’re serious about building your brand’s cachet, you need to think of your content as additional element of your product offering to your customers. Why is this? In your audience’s minds, it’s difficult to unpick the different elements that contribute to your brand’s value. If you create and share material that hasn’t been properly thought through, incoherent or poor quality, what does that say about the rest of the things that your business produces? There was a time in the early days of having video online when you could be forgiven for sharing substandard work. That time has passed – with modern tools almost every member of your audience has the ability to create and share quality content. They are also used to consuming high quality content through YouTube and Netflix. The material you share has to be of value to the audience in order to cut through to them. Like any traditional media channel, there needs to be a degree of coherence to the content you share. Think about watching BBC2 or Channel Five in the UK, or Fox News or HBO in the US. They have a feel about them, which if you’re familiar with them, you will be able to pick up on. The branding and tone of voice of your channel is a post for another time (or maybe a call). For now, suffice to say that all the content that you share should have an association with your purpose as a business. Your business purpose is useful for defining your content because it leads to that important coherence and more impactful content. Most businesses now have a purpose which goes beyond the simple profit motive – what Simon Sinek calls their ‘Why’. This forms an excellent jumping off point for all of the content that you produce. It doesn’t necessarily mean your content need to all be about your purpose, but there should be a straight-line association between the two. Another shift to make is to understand that to see the returns that this approach offers you need to be prepared to build your audience following over a longer term that you might currently be used to. Traditional marketing tends to take place on a seasonal cycle. Spring follows winter follow autumn etc. This is largely the effect of the quarterly and annual business reporting cycle. It will take a longer period to build the following and brand affinity with your audience that being a broadcaster can generate. Traditional broadcasters tend to think in decades. They aim to engage viewers in their mid-to-late teens, and then keep them, with different types of programming, throughout their lives. Now, of course, this is completely unrealistic as a timeframe for the majority of businesses, but the evolution of content that a network offers over a lifetime can be condensed into the different types of content that you should share over a prospective customer’s sales/engagement-lifecycle journey. Long-term business value relies on finding, keeping and growing customers who come back to our brands for years. We do that by becoming so much more to our consumers than just a soap or shoe supplier. We want our products to be as useful to our customers as they possibly can be, so why not aim to make the content that supports them as helpful as possible too? We want to provide the customer with as much value as we economically can – whether that is in the quality of your physical product, or in the material that you share to support and promote it. These businesses don’t think in discrete, cyclical campaigns, but in a rolling, evolving journey for their audience – much like a traditional network TV channel. There are – of course – quick wins to be had, and video can drive very immediate results, which is all that the majority of businesses are going to use it for, and that’s fine. There is no reason why your business can’t positively transform its standing in the market on the back of a carefully considered, creative content strategy. To do that, you need to start thinking a little longer term. In terms of engagement rates, video is the most important type of content for you to share, There are many different types which can back this up, providing engagement in different spheres on the many different platforms. These might include written blogs, Instagram posts or podcasts. It is often possible to repurpose or reedit content to maximise the return for your investment. This might include pulling images for Instagram or ripping audio to be shared as a podcast. The production of video and blogs take time so you want to make sure you get the maximum mileage from them. Your audience engage with different platforms in different ways at different times of the day. You need to share the content in the way that they want to consume it – not the other way around. For example, your audience might engage with short form ‘snack’ content on Snapchat in the morning but be prepared to watch a longer piece of content on YouTube in the evening. They don’t necessarily see the distinct definitions between different platforms that you do. Whatever the platform you are sharing content on, it is important that the underlying brand narrative is consistent (See point 2). Whatever stage you’re at in your content journey we’re keen to help you get to the next level. Drop us a line and we can help you make 2019 your best year yet. 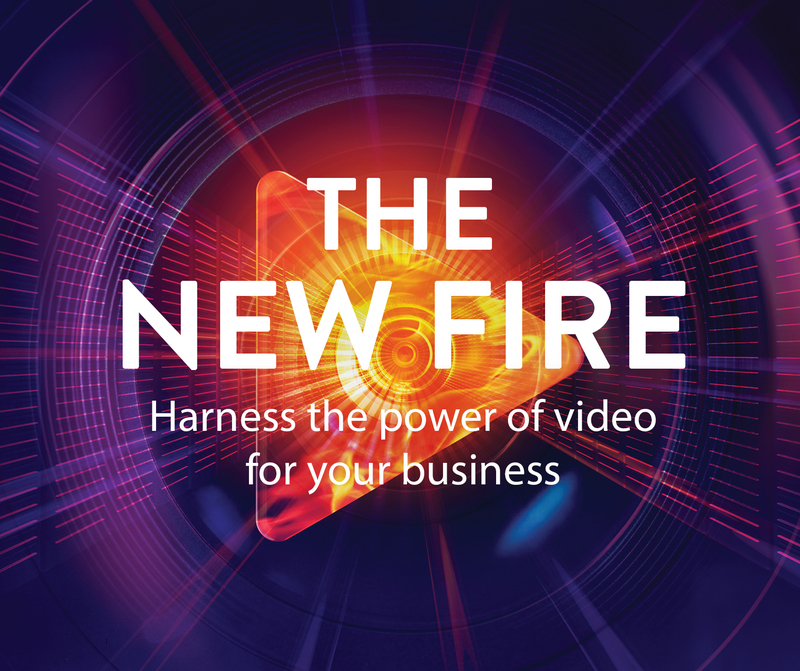 If you want to read more about how to create a content strategy, or if you just want to learn about the difference between a Gaffer and a Focus puller you should check out Nick’s new book: The New Fire: Harness the Power of Video for Your Business. What is a story and why do they matter to communicators? - Sir Ridley Scott, one of the greatest living filmmakers/storytellers, opening the New Directors’ Showcase at the Cannes Lions in 2018. Stories are all around us. We use them to entertain, to amuse and to inform. They also form the underpinnings of nations, companies, families, teams and even money. Storytelling has become a buzzword in corporate communications. A search of LinkedIn finds that nearly 800,000 people describe themselves as storytellers, or list storytelling as a skill. But there is good reason for this. Stories are central to how we define our reality. They define belonging, and the concept of ‘them’ and ‘us’. This is because every cultural arrangement relies (no matter how loosely) on a shared set of understandings. This makes an understanding of stories essential for those interested in creating and strengthening cultures of any kind. Simply put, a story is an encapsulation of cause and effect. Our brains link facts – A leads to B, B leads to C, and so on. This gives rise to the three-act structure: the ingredients, the reaction and the outcome. The reason this is a more effective form of communication than just giving facts is that it mirrors how our brains have evolved to process information. 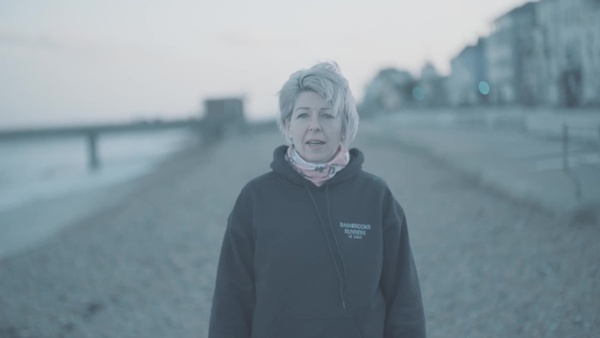 When we hear the facts linked as a story, we can’t help but visualise Sarah’s experience. This creates an emotional reaction over and above the simple facts and embeds it into our brains. Because of this, information relayed as a story is far more likely to be remembered than the same information shared as bare facts. Good stories are about conflict; they include a degree of jeopardy in the achievement of the effect or outcome (i.e. A plus B could lead to C, but it could also lead to D, E or F). 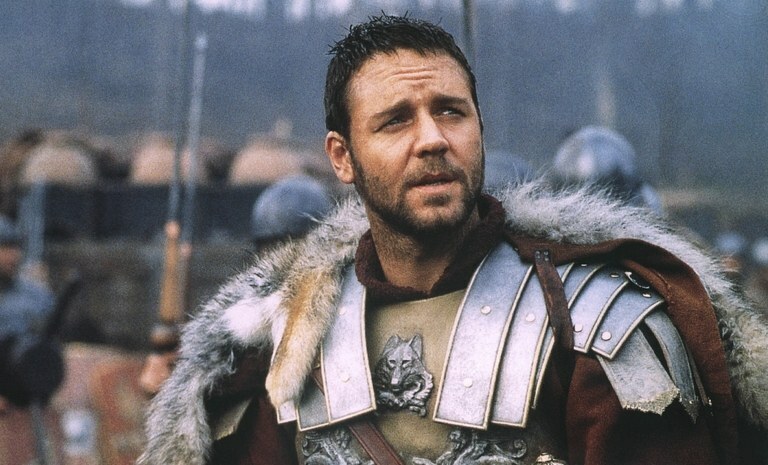 The greater this unpredictability or jeopardy, the more powerful the emotional connection, and therefore the greater the impact of the story. This gives nearly all great stories a recognisable structure. Look at any of the great myths – ancient or modern – and you’ll find the personable figure of the underdog, who sets out against great odds to achieve a significant (and almost unattainable) goal. In doing so, they enhance themselves and grow. 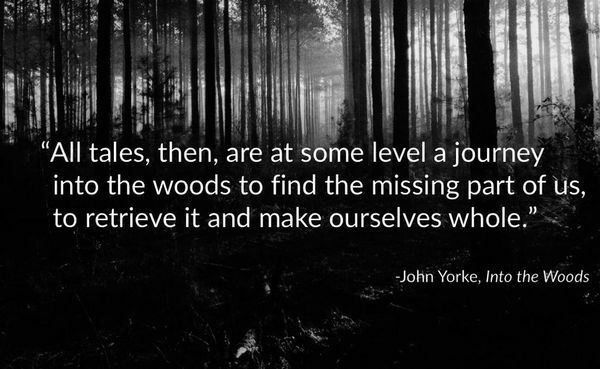 In his excellent book Into the Woods, renowned screenwriter John Yorke examines the mechanics behind story structure. He argues that, while the subject of the story (the protagonist) might not get what they initially wanted, they achieve the thing that they actually needed, and that is far more valuable. The reason for the success of this type of structure is that it mirrors an insecurity that lies at the heart of all human beings. Built within our psyches is the belief that we are the underdog facing the challenges of the world. Different types of stories resonate with different target audiences, but the underdog against the world resonates with us all. 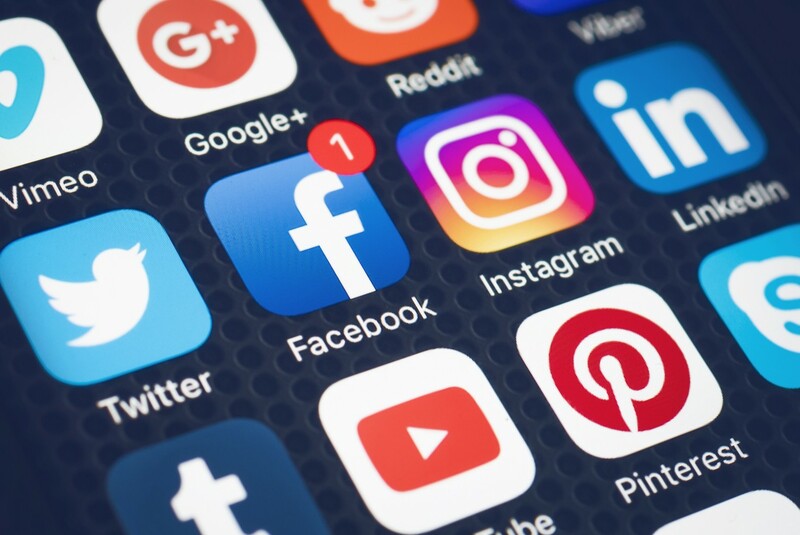 The paradox of the online world is that, while it has never been easier to reach an audience, it’s still difficult to connect with them. There is so much noise in modern communications, but great stories give you the opportunity to reach past your audience’s overstimulated heads and reach their hearts. Emotive stories do this. Used effectively, they enable you to get people to take note and remember what you want them to. The facts that stories lace with emotional connections become far more memorable. Bear with me here… In the early days of Casual, I used to go to breakfast networking groups, to meet and learn from other entrepreneurs. At one meeting, the topic of the conversation was, “What makes great customer service?” As we went around the table, the various business owners present gave their two-cents’ worth: “Well, I think it’s about sharing my mobile phone number and then not letting it ring more than twice when they call” and “I think it’s about sending a card for your clients’ birthdays”. Each business owner took their turn to give their ideas. When it came to me, I had a story about something that had happened recently and was fresh in my mind. About a year later, I was at a conference and I introduced myself to one of the other delegates. I was slightly taken aback when he said, “I know you; you’re the guys who are really good at client service.” He had been at that networking group, and had heard the story I shared. It had stuck in his mind long after the associated facts of the rest of the group had faded. I’m telling you this to illustrate the enduring nature of information that has been made to resonate with a broader narrative. The previous example illustrates another key asset of stories in the business context: they allow the communicator to make relatively intangible ideas – such as customer service, brand or values – tangible. It can be challenging to communicate what is meant by an abstract brand slogan. If the communicator builds that definition out with a story, it gives it a form and context that is accessible and ‘sticky’ (or memorable). In this example, the relatively abstract concept of ‘customer service’ is given a clear form through a simple story. Apple’s iconic ‘Think Different’ slogan is perfectly encapsulated by Ridley Scott’s equally iconic 1984 commercial for the launch of the original Mac computer (even though the slogan itself didn’t feature for the company until 1997). The spot features hundreds of drone-like, monochrome men in boiler suits all captivated by a large, Big-Brother-esque face on a screen in front of them. 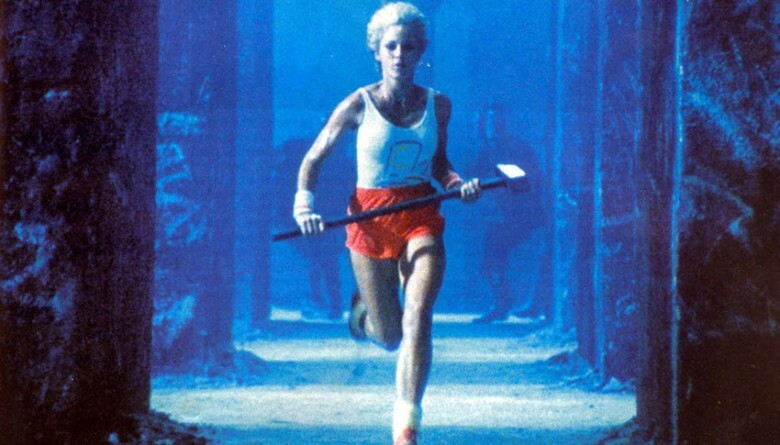 From the back of the room, a young woman in running kit, including red shorts, runs in and hurls a large hammer at the screen, destroying it. It ends with a voiceover saying, “Find out why 1984 is not going to be like 1984” – a clear, if implicit, punch at the established order represented by IBM. Anyone who saw that ad could see the essence of what Apple stood for then and what it continues to stand for now. To explain what was meant by the slogan could have taken many hundreds, if not thousands, of words, but video allows it to be captured and understood simply, in a handful of seconds. This attribute makes the format really useful for internal/employer communications. Every company now has a set of values, which it expects its staff to live their working lives by. These values are far more effectively communicated through a story than a slogan. A value with a story becomes a behaviour. A behaviour is easier for the employee to understand and act on. Saying, “This is what we mean by excellent customer service, integrity, give more, etc.” is a great way to get staff to exhibit those values. Video is an effective way of illustrating these stories to them. The powerfully aligning nature of narrative is part of the reason that foundation myths hold such a powerful sway in the business world. Yes, the company may now be a global behemoth, but, once upon a time, it was just a small group of people with an idea and a desire to go against the system. These founders faced almost impossible odds (conflict/jeopardy) but overcame them with guile and a belief that what they were doing was right. No matter how large and successful the company becomes, there will always be the underlying narrative, which can be mythologised, and used to engage and motivate staff and other stakeholders. 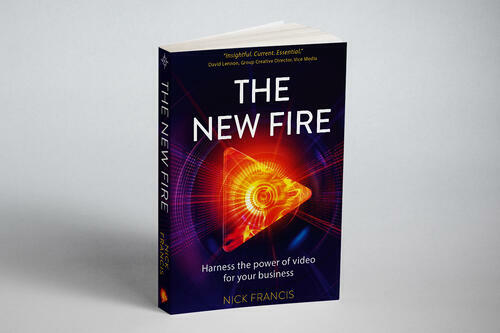 If you find this interesting check out Nick's book: The New Fire - Harness the Power of Video for Your Business. You can preorder it here. Not long ago, to get any kind of information on a target market, marketers needed to send out surveys or run focus groups. This made the process extremely heavy. For example, the census that the US government runs every 10 years takes several years to compile. This means that all the information it contains is out of date before anyone gets their hands on the latest copy. This has all changed now that the number of smart devices in circulation has exploded. We track how many steps we take, the places we visit and web searches effortlessly. There is also a huge amount of data accessible to video marketers. We can use this to create content that we know your target audience will want to engage with. This makes the understanding and use of data an extremely important tool for video marketers. Netflix shows just how far companies can go when using data to inform the types of content it shares. 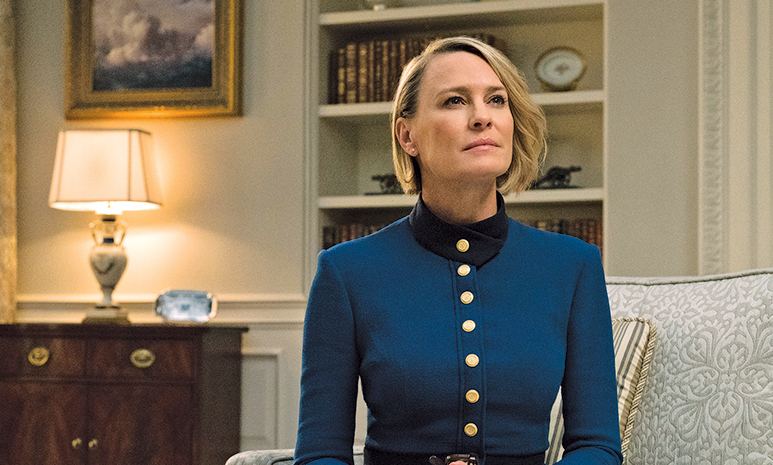 Its flagship series, House of Cards, is a massive hit with its subscribers, with 86% saying that they were less likely to cancel their subscription because of the show, according to a survey by Cowan and Company. Back in 2011, the company took the massive step of commissioning two series of the show in one go, 26 episodes, for over US$100 million – US$3.8 million an episode, without seeing a single one! A significant number of users had watched the whole of the David Fincher directed movie The Social Network. The original British version of House of Cards had been well watched. watched Kevin Spacey films and/or films directed by David Fincher. This allowed it to make a judgement call that the new series was worth its investment. Having this information also allows it to target users with other content that they might like. It’s also able to see who is at risk of giving up their subscription by seeing how much they have been using it over the past month. Obviously, Netflix is in a strong position as it’s able to directly track how its subscribers access its services on a person-by-person basis. There are ways that you can use data without having quite such an in-depth view, though. For example, A/B testing a number of different creative treatments/video names/thumbnail images before choosing the one that resonates most successfully with our audience is a form of data optimisation we should all be doing. Beyond this, you can see in greater depth than you might at first glance. You have access to a surprising amount of data if you choose to. Many of the clients I’ve worked with in the past haven’t been able to make the most of the data they could be collecting. This is usually because of concerns around hosting and data security. There are some very powerful platforms that can host video securely, giving access to in-depth information, but it requires the clients making a choice to utilise them. This has been an argument that we’ve lost more often than not. Given this fact and the natural limitations that you’ll have when you first start using data, it’s important that you don’t give up on the experience and intuition of your team/suppliers. Data can provide a grounding for decisions, but it’s important that you weigh the information up and make a rational choice based on what you have. Data can give you the insight that will help you to optimise your product and improve your value proposition. You just need to look at what you have access to and how this can help you. The quality of the decisions you’re able to make as a result of a piece of data is only ever going to be as good or reliable as the underlying data itself. Because of this, you need make sure that you can trust all of the data that you include. As we’ll see, the seemingly unstoppable rise of data has, to an extent, been checked by a number of setbacks. There are a few shortcomings of the data-led approach, which mean that those nice luvvies in the creative department shouldn’t be sweating too much just yet. Firstly, while all that data can undoubtedly be used to improve the background understanding that informs a creative idea, the information still needs human creative thought to establish the idea itself. Secondly, by becoming too data-centric, there is a danger that you end up travelling down a creative rabbit hole, only ever producing variations on the same work you’ve done in the past, because that’s where your best/safest dataset is. Finally, you need to be certain that the data is telling you what you think it is. For example, the most commonly tracked video data is views and engagements – shares, likes and comments. While it might be good for your self-esteem to know that your video has had over 1 million views since you shared it, it’s not going to help with your strategy if all of those people are either bots or from the wrong target group. The more trustworthy detail that you can get, the more useful data will be as a tool. As the number of data points available to content commissioners increases, they are able to use the data points to make ever-more-insightful observations about the types of content you should be producing for a given audience. This is particularly true for businesses – such as publishers (The Wall Street Journal, Condé Nast, CNN, etc.) – that have built up a wealth of data from the past work that they have shared. Take Oath – formerly Yahoo! – for example. It has over a billion monthly users. Each of those users’ actions is tracked, which builds up a picture of their online habits. Oath suggests that it receives and records 4 trillion data signals per month. This breadth of information allows it to judge what will and won’t be successful for certain demographics. For example, Oath’s content studio was commissioned to produce a series to promote family cars for Chrysler. From its data, it was able to tell that, of its users who were in the market for a family car, 51% were female, 73% were married and 70% had children. It also knew that millennial parents/ expecting parents using Oath were 46% more likely to agree that they like the same products that celebrities use. It also knew that comedy was their favourite genre. 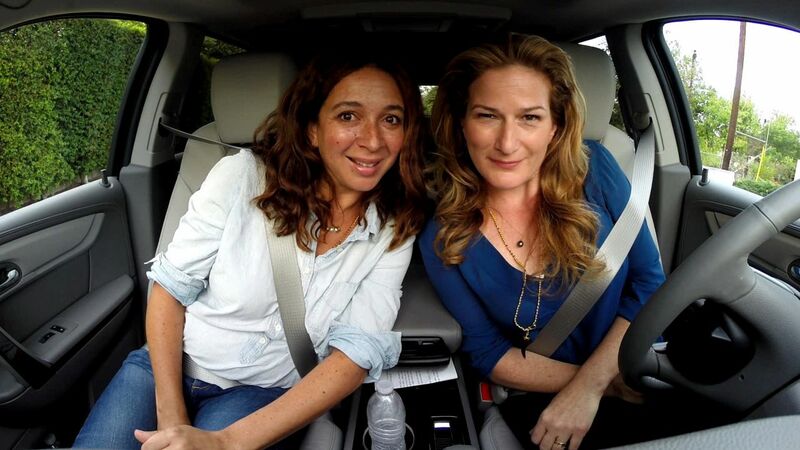 Through all of this information, it was able to understand the type of content that would work best for the target audience, and create a series of comedy in-car interviews called Going There with Anna Gasteyer. Supporting this, it had a digital site with a variety of supporting content aimed at enticing mums, based on the search terms it knew they used. This led to increases in the click-through rate (+33%), purchase intent (+6%) and brand trust (+5%) among the target audience. One really useful use of data is in understanding what the best lengths for video are online. We pulled together the best information into a white paper to help you maximise the impact of your work. You can download it right here. Video is more accessible than ever before. This has made the distribution environment a little... convoluted. This turmoil represents a fantastic opportunity for brands to make decisive moves to win fame and brand loyalty among a potentially global audience. To do that, to borrow a phrase, you have to ‘think different’. By definition, to differentiate oneself requires a degree of unconventional thinking. Being conventional – producing average content – pretty much guarantees average outcomes. This is particularly true, for example, in the recruitment/talent space, where everyone in a given industry is chasing broadly the same candidates. If everyone goes about it in the same way, then the key differentiating factor becomes money. This makes it very expensive to get the top candidates. You need to try to break free from convention in order to differentiate yourself by what you stand for. The best way to illustrate this is through well-conceived, eye-catching video. "All I ask is that today, you do the best work of your entire lives"
That’s easy enough to say, I know. When we’re asked for a treatment (the ideas and approach for a project) by a client, our creative team comes up with three suitable ideas. These are (usually): a ‘conventional but safe’ example, a ‘differentiating and could win awards/really achieve something exciting’ example, and another that falls in between the two. Even when the client starts the process by saying, “We want to do something really out there this time”, the majority of the time (four times out of five) they go with the safe one. And, once it’s commissioned, the client will tend to push towards safety as it goes. I don’t mean this as criticism at all; it’s more that I understand the pressures that commissioners are under. The people we work with are experienced, talented and creative, and want to create work that is genuinely great, but they often operate in a framework that makes it hard for them to do what they really want to. The reason for this is that, in large corporations, it’s nearly always better to be conventionally wrong than to take the risk to be unconventionally right. If you take a risk on the received convention – hiring IBM, as the saying goes – and it goes wrong, you’re probably not going to get fired. If you take the unconventional route and it doesn’t go to plan, you’re out on your ear. This leads to defensive decision-making – the enemy of differentiation, and a factor that is probably costing your business millions in lost or unrealised revenue. There is no reason why any company that chooses to can’t achieve excellent returns from building their brand with video, but it has to come from the top. 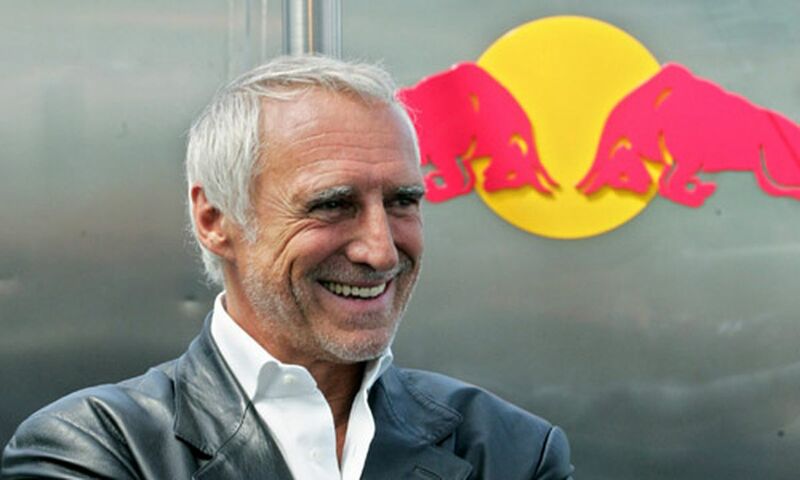 Red Bull has two shareholders – the original entrepreneurs who set the business up. That means it has the freedom to make the decisions that are in the long-term interest of the brand. It can choose to take the calculated risks that are necessary to make this stuff really work, without having to answer to the drive for short-term returns. Apple is often talked about in lofty terms in creative meetings. Apple brand, the precision of its operations and the adoration of its users (and its profit margin!) – but no one is prepared to be Steve Jobs: risk taking, brave and uncompromising in his pursuit for perfection. To expect one without the other is unrealistic and naïve. The fact is that differentiation and, ultimately, success nearly always lie down the unconventional path. This is truer than ever in the content saturated world we’re all operating in now. The way to allow your team or people to find that path is by giving them the space to take calculated risks with the material that they produce. I’m not suggesting that you completely let go of the reins and let the whole operation explode in a blaze of fruitless, but beautiful, creative glory. The key step in creating a winning culture is in how you approach failure. The businesses that really succeed are the ones that treat failure as a valuable chance to learn, and make sure that the lessons are heeded and shared across the organisation. Matthew Syed talks about this in his excellent book Black Box Thinking. He contrasts the incidence of accidents or failures in the airline and healthcare industries. Airlines carry millions of passengers all over the world in highly complex, heavier-than-air, metal boxes. On the face of it, this seems impossibly dangerous, and yet they manage the astonishing safety record of people having just a 1-in-11-million chance of being killed in a plane crash. Whereas, in the US alone, 250,000 people die as a result of medical negligence every year. That’s the equivalent of three fully loaded jumbos crashing every two days. The key difference between these two industries is their attitude to failure. In the airline industry, there are established systems for sharing even the smallest event from which future travel could be made safer. In hospitals, people treat mistakes with a sad shrug and as ‘one of those things’ that happens when dealing with something so complex, and yet is it that much more complex than air travel? You must cultivate an open culture where your team members feel empowered to try different things. You should encourage them to keep a growth mindset - always looking for ways to be better and improve. To use events that didn’t go exactly to plan as an opportunity to learn. In the Silicon Valley vernacular, ‘fail fast’. To avoid failing is to avoid the opportunity to learn and improve. The online environment gives you the opportunity to continually reiterate. It’s more valuable to have the odd misfire, setting a baseline from which to improve, than it is to cruise along in safe, unremarkable mediocrity. Online, more than before, mediocrity is ignored. Get your thinking straight before you begin with our guide to writing better briefs. You can download it right here. Or if you'd prefer, you can download our 10 step process to making better videos, right here. Being an almost limitlessly creative medium makes video an exciting and rewarding tool to work with. One of the things we like about making video for businesses is that we have very clear constraints within which to work. Unconstrained creativity is anarchic. Within constraints creativity flourishes. This is why having a well thought out brief is so central to creating work which is memorable and effective. You can download our guide to writing a good brief here. This is probably my favourite charity film of all time. By reframing the issue of tax evasion, it makes the subject far more tangible for the audience. It is as illuminating as it is memorable. The cinematic production really adds to the drama and impact. Films with this much gloss and thought require a significant investment. You can get a long way to a result like this with some decent creative thought up front. Once you have an idea as powerful as this, there are almost limitless ways of producing it - Hollywood production values or not. We love this film because it demonstrates how effective video can be at illustrating company culture. It was produced from the large amount of material that BMW already had. This was combined with some library footage and a punchy soundtrack, to deliver an effect that is eye-catching, memorable and effective. Even if you're not BMW with endless amounts of great footage, have a think about the material you already have. Maybe you can update it, add to it or repurpose it easily to give you great content that you can get more mileage out of. Most companies are associated with interesting stories if you look beneath the surface. I like this mini documentary because it allows Autodesk to give real depth and context to the work that they do. It builds trust with the company both internally - with employees - and externally - with customers, prospects and potential recruits. Admittedly, 3D printing is kind of cool and looks good on camera – especially the time lapse footage. There are always interesting stories that you can use to build trust with your brand if you look for them. Keep an open mind and ask around. Ask your employees/colleagues/clients. Video is a magnifying glass on issues. You can make a film about an individual or an event and reflect the story of the many. This will link you out to an external site. This isn’t a brand film, and the interactive is pretty basic, but we still tend to go to this as a great example of the medium, because it’s so satisfying. It doesn’t hurt that the track is ace too. As with any new creative technology, some of the early interactive has been a little prone to gimmickry. This confidently avoids that because the interactive adds to the narrative of the band coming together. It manages to inspire excitement as we switch from storyline to storyline, seeing what the next band member is up to. This could be used in a corporate context to show almost any process where different threads run concurrently - a recruitment process, a product being assembled or an even being prepared. Interactive video is a great way of increasing engagement with your audience. We have seen engagement rates on some of our interactive films rate at nearly 4x live action video. It may seem a little intimidating, but it just requires an understanding of the mechanics and a little preplanning. Sure, it’s Apple, so it’s stylish, glossy and delish. Producing something like this doesn’t need to cost an Apple budget though. This video works because it combines a number of elements effectively: live action video, on screen type, beautifully rendered animation, powerful audio blended with a strong dash of humour. Most of these elements are inexpensive to create, it just requires a good script and some planning. They can come up with the creative idea and then produce it quickly and efficiently. It's easier to create something like this than it looks. Being clear on what you're trying to achieve before you start is the key. Once you have this, a professional producer can help you to create something memorable and effective. It helps the production team if you have an idea what you want your video to look like. Whatever you're trying to achieve take a moment to consult our easy to follow guide to writing briefs which will make your video more engaging, memorable and ultimately effective. The Internet has sped up our lives – email has turned airmail into ‘snail mail’. Mobile Internet connectivity has made our lives faster still. We’re being robbed of the last shreds of time we had to think. The pace of life, and the profusion of different channels and distractions has sharpened our perception of the value of our time. As marketers, this poses a challenge for getting our communications heard. Along with this heightened awareness, the audience has control of how they invest their time. With the growth in ad-blocking software, marketing messages face a challenge to be noticed. For us to achieve cut-through (landing our message with the audience), our content has to pass over a higher ‘is this a valuable use of my time?’ bar than ever. It has to provide genuine value to the audience, making their lives better for having interacted with it, even just a tiny bit. Timing is key to effective content. 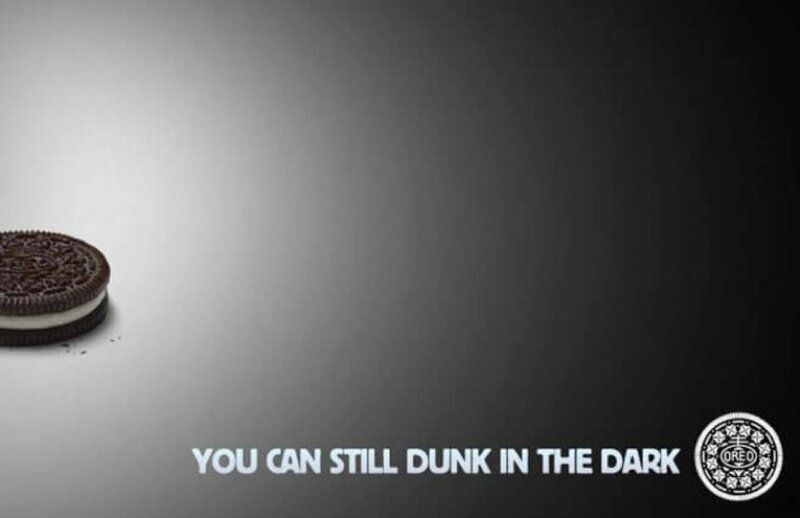 Think about how successful Oreo was with its “You Can Dunk in the Dark” tweet, when the lights went out during the 2013 Super Bowl. It was picked up by the 23 million Twitter users who were watching the game, and ended up being regarded as the ad of the evening – a title that many companies had spent millions of dollars for a shot at, and failed. It goes without saying that what is timely for one viewer is annoyingly late for another – good advice 30 seconds too late is annoying. As we touched on previously, the content has to be relevant to the audience. This almost goes without saying – we all constantly filter the information that assails us every waking moment. Because of this, your audience are keenly aware of what does and doesn’t apply to them. Think about what is going to be relevant for your viewers – this might now be directly obvious. For example, if you’re trying to market an apprentice scheme to school leavers, they may be interested in advice on renting a home for the first time. This information is obviously not so interesting to those looking to move job as an experienced hire. This underlines the importance of understanding your audience and what is relevant to them. A word of warning here, according to research by LinkedIn, 44% of their respondents said they would consider ending a relationship with a brand because of irrelevant promotions. An additional 22% said that they would ‘definitely defect’ from that brand. Knowing your audience and making content that is relevant to them is essential. "44% would consider ending a relationship with a brand because of irrelevant promotions. One step on from being relevant is content that is actually useful. Providing how-tos, instructions, discounts and tie-ins with other products that they may be using are all ways of being useful to your audience. Once again, what is useful to your viewers might not be immediately obvious – look at the previous example. Home-renting advice is also useful to the target audience. These different types of value do not exist in isolation – each piece of content can be a combination of one or more things. You must create content that your audience will actively seek out, love and share because it's great. We all need a little entertainment from time to time. If you can get it right, this is a great way of drawing in your audience and winning them over. Tread carefully with this though – you have to make sure that whatever you share ties in with your brand. You need to earn the trust of the audience before making drastic departures in tone of voice. The content you produce doesn’t need to be all of these things at the same time – any one or two will work, as long as it/they provide enough value in that given area. The more entertaining and relevant your work content is, for example, the more the chance there is that it will be watched, shared and loved. - Inspire the audience with emotional and relatable stories. - Educate the audience with useful information. - Entertain the audience by surprising them, making them laugh or sharing spectacular content. There is no right or wrong way of looking at these; they are just a different way of looking at the same underlying principles. I hope that seeing them from a slightly different angle will help you to understand them and use them. If you found this interesting and would you like to learn more about how to make really great content? We have condensed the last decade and nearly 10,000 films worth of learning into what we consider to be the Ten Commandments of Better Video. You can download them here.